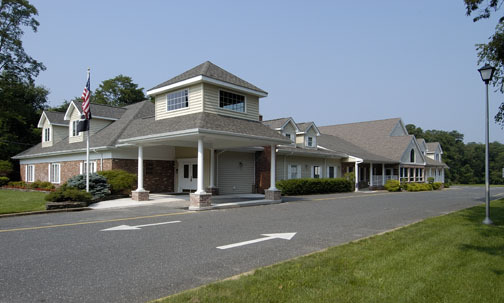 In keeping with our mission, our facilities provide our families with the ability to plan a funeral that meets their individual needs in an elegant, comfortable and home-like atmosphere. All facilities, including the visitation areas and the rest rooms, are located on the main floor and are handicapped accessible. There are large chapels, and spacious common areas that provide smaller seating arrangements, creating more intimate areas for quiet conversation. Two desk areas afford families the space to write a note or record information. Two fireplaces offer cozy, friendly places for thoughtful reflection. Our built-in sound system provides quiet background music, favorite music provided by the family, or music for a service. In addition, DVD players and large flat screen TV's are provided to our families for the playing of their pictorial tributes. For your convenience, we offer complimentary WIFI for your use. Our spacious parking lot provides ample parking with several parking places reserved for the physically challenged. Located on 10 acres, parking can be expanded to accommodate 200 vehicles. We are pleased to provide generator-backed facilities.